First of all, for those non-golfers reading this, let me explain. A shank is a golf shot (with an iron club) which comes off the hosel. This is the part of the club which is neither head or shaft, just an evil addition contributed by golfing equipment manufacturers. The resulting shot shoots off almost sideways, generally into an unplayable position that you have never even considered at the point of address. So much for the technicalities, so here is my story. At the end of my footballing career I tried out this crazy game of golf, and soon was hooked after hitting a few good shots. Didn’t know if I was left or right handed at the time, it felt so strange trying to hit that little white ball that didn’t move, so why did I miss it? Anyway, I eventually became a member at Outlane Golf Club at the ripe old age of 34, and tried my best for the next 30 odd years. Starting off at a handicap of 24 (that was the maximum then) I soon reduced that to 14 with what little natural talent I had (mainly based on my cricketing history). Over the next few years I actually got down to 7 (without a lesson I may add! ), if only for a week, after my best ever return of 67 gross. Generally I then fluctuated between 8 and 10. I also managed to get 5 hole-in-one’s – how did I manage that when I couldn’t hit an iron? Well, one of them was on a downhill par 4 with a 3 wood! (see below). However, it was not all plain sailing. After the long cold winters with temporary greens and tees we all looked forward to the new season in springtime. Strangely, this seemed to be the signal for my shots to start going sideways, and usually left me playing catch-up for a couple of months until it mysteriously vanished as quick as it came. If I survived the early rounds of knock-outs I was in with a chance. I finally succumbed to having a lesson with the professional at Bradley Park, John Ambler. My problem was not just with the short shots (which is common) – every club in the bag from the 3 iron upwards suffered the same fate. He explained that there were two ways to shank – the swing is either in to out or out to in. After watching me hit a few shots he came to the decision that I was doing both, and he hadn’t got a clue how to fix it! And so the pattern continued, although I did manage to win several competitions in my non-shanking windows. It is very frustrating as all sufferers will testify, but my nadir (lowest point) came on a once-in-a-lifetime golfing trip to Myrtle Beach, South Carolina. I had arranged the 2 week break for a party of 16 golfers and wives, with 8 rounds of golf on the most spectacular, wonderful courses I had ever seen. Every one seemed better than the last, truly a golfing Disneyworld. What happened? I hit ever drive 250 yards down the middle, then EVERY iron shot went sideways from a perfect position either left into an alligator infested lake or pulled to the right (compensating) into a clump of prickly bushes inhabited by venomous snakes. I finished up buying a 7 wood (would be a rescue club now) without a hosel, to hit every shot from 160 yards to 20 yards from the green. It was the only time that I have ever cried on a golf course! I had bought a brand new set of Titleist blacks to replace my old pinseeker clubs (bought a few at a time from a catalogue), but 12 months on they were traded in with hardly a mark on the centre of the club face. Then I gave up golf for 6 months. I have reflected on my golfing career at this moment as , despite my troubles, in my 70th year I have just had the most amazing 10 months of my golfing life. 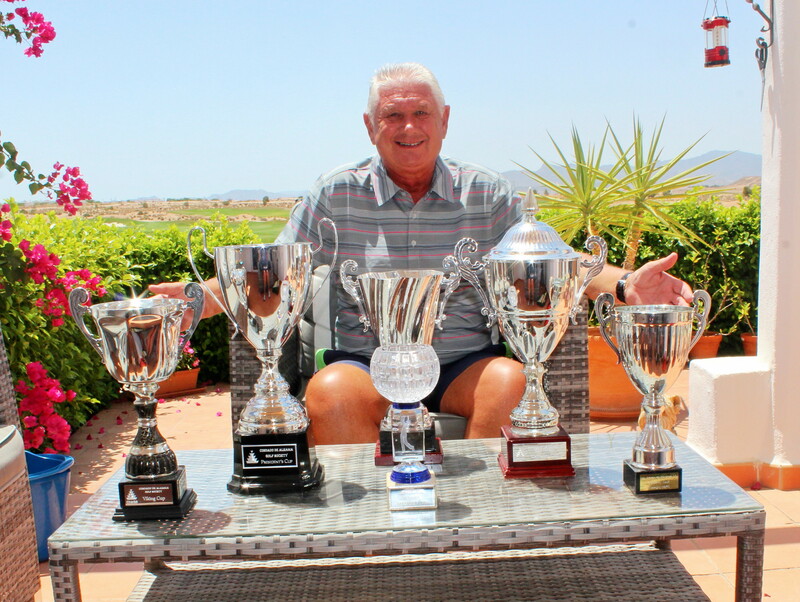 In August I unexpectedly won my 2nd major at Condado de Alhama, President’s Day, which is surely one of the top competitions. (4 years earlier I won the Anniversary Pairs Trophy with Robin Wilson). October saw the only time that our top competition (the Viking Cup) was played as a major, with 46 players from UK & Ireland facing the same number from Scandinavia. I was very proud to collect the trophy as captain of the European side. December was a good month, winning the monthly edition of the Apollo Air Trophy (basically our monthly medal) and the Clover Xmas Cup. Not finished yet, in March a 4 man team of myself, Barry Answer, Daniel Don and Steve Bell won the Celebrity-Am Texas Scramble at Camposol Golf Club. And the piece de resistance came in June, when I finally won Captain’s Day ( a dream I have always had). And to top off a fantastic year, I was elected as lifetime vice president of the Condado de Alhama Golf Society at the AGM in March. What a year, it can’t be repeated, so I will just coast along in my final golfing years enjoying the company, sunshine and beer and waiting for my handicap to go back up! A shanker is never cured – relief is temporary. Like an alcoholic, just get through one day at a time. It seems unbelievable that only 12 months ago I would not put my name down for a pairs or team event so as not to let my partners down. All I wanted was to compete and avoid embarrassment. But the cycle continues, and the highs and lows must be enjoyed and accepted as they come along. At the present moment, the magic has gone again! just had to include this photo of Barry Answer and Les Hurren trying to sit side by side in the Clover. 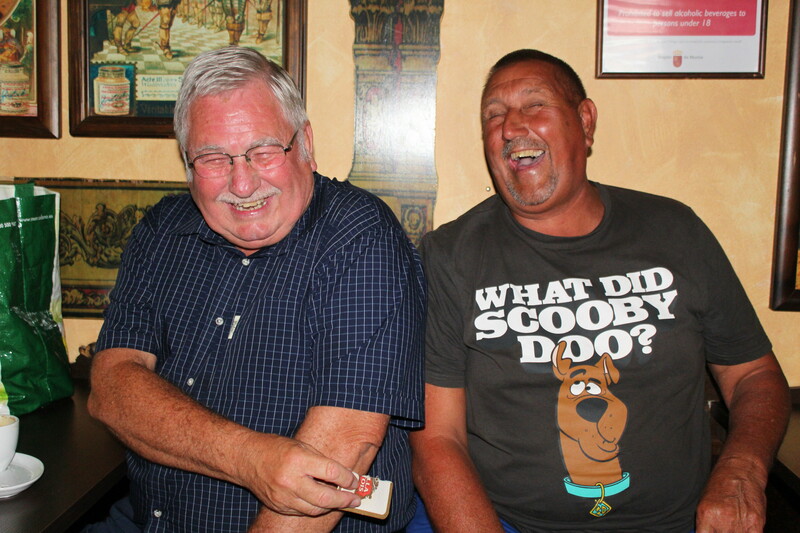 they were wedged between two tables!……….yes Barry, there isn’t room for a beer mat between you! This week we had 62 players in a pairs stableford, but both played individual and added their scores together at the end. Some exceptional scores were handed in, so new handicaps for them next week! With the captain, vice-captain and president away, Chris McAllister and Kevin Smith conducted proceedings in the Clover. I would have stood in, but I am the photographer! a fantastic score from Terry & Dave, but just pipped at the post……. Borre & Lasse got into the prizes…………. A notable feat this week was a hole in one on hole 17 by Tom Toner………..so never give up, you don’t know what is coming! Well done Tom, you will receive a trophy from the society. Just one photo from the course this week, showing how I set off lucky – how did I manage to find the grass between the fairway bunkers on the first?…………but I am glad I didn’t get snapped having a fresh air shot on the 2nd tee! wish I could be so accurate all the time………..
Also an interesting encounter with a lovely parakeet on the 12th fairway. The white bird with a yellow crest on its head almost sat on Les Hurren’s finger, so must have been an escaped pet. about the only creature not frightened by Les……..
No starter this week, so players had to pay entry when they came back in – if anyone can volunteer for the next few weeks it would be a great help……………..
Last Friday we held a collection for our head green keeper Jonathan. It raised 169€, which will be a nice start for his move to France. Dave Lloyd has organised the next away day to Altoreal. It is on Monday September 26th for 40 players with buggies, at 35€ per person. The first tee time will be 10.24, and there will be a free bus. Please email me at barry@cdagolf.com . No doubt we will be able to squeeze a few shoppers onto the coach and drop them off at Nuevo Condomina – can they manage to fill in 4/5 hours there? Anyone who plays Monday or Friday should be aware that there are no committee members available to oversee scores, and therefore adjust handicaps. For example on Wednesday one card has 4 names on – problem being one says ME! Who is me you may ask when you weren’t there?. Several other names were completely unreadable, so we cannot use them for adjusting handicaps. Please be aware that names must be clear (on start sheet also) or they will be void (full comments on previous blog). I am away for the next 2 weeks, so not sure what will be on the blog (if anything). I will try to get info and see if I can post it on my kindle. But there will be an extra blog on Monday – to celebrate my 70th. 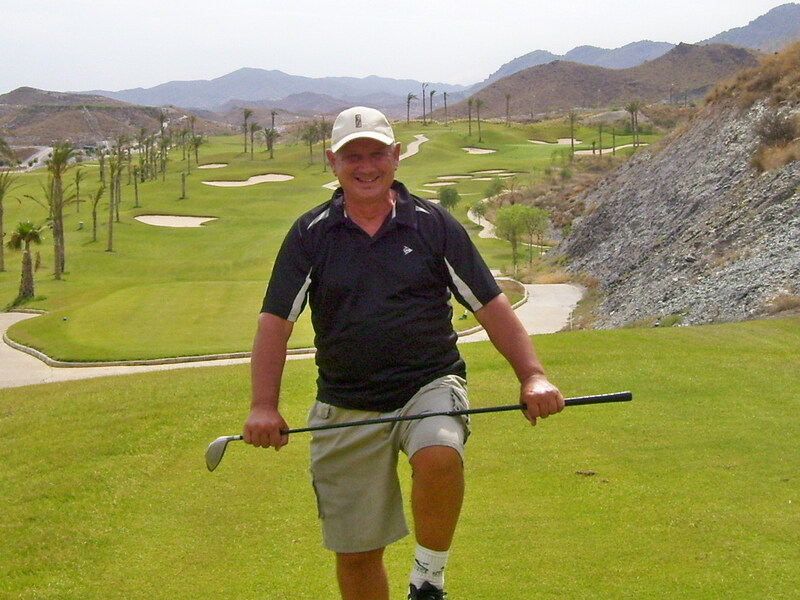 I will make a special post about my golfing experiences over the last 40 years – the title is – Memoirs of a shanker! ………..one more crack like that and I’ll plaster ya! What did the judge say when the skunk walked into the court room? 73 players (5 did not arrive) and took on the ultimate challenge in golf – hit your ball, find it, hit it again, until it is in the hole! That is how golf started, and although usually we play stableford to speed the game up, I think this homage to this special game is worth persuing just once a year. (There is always the option to pick up your ball and mark a no return when it is obvious that you have no chance of winning, and have had enough pain – as I did!)). 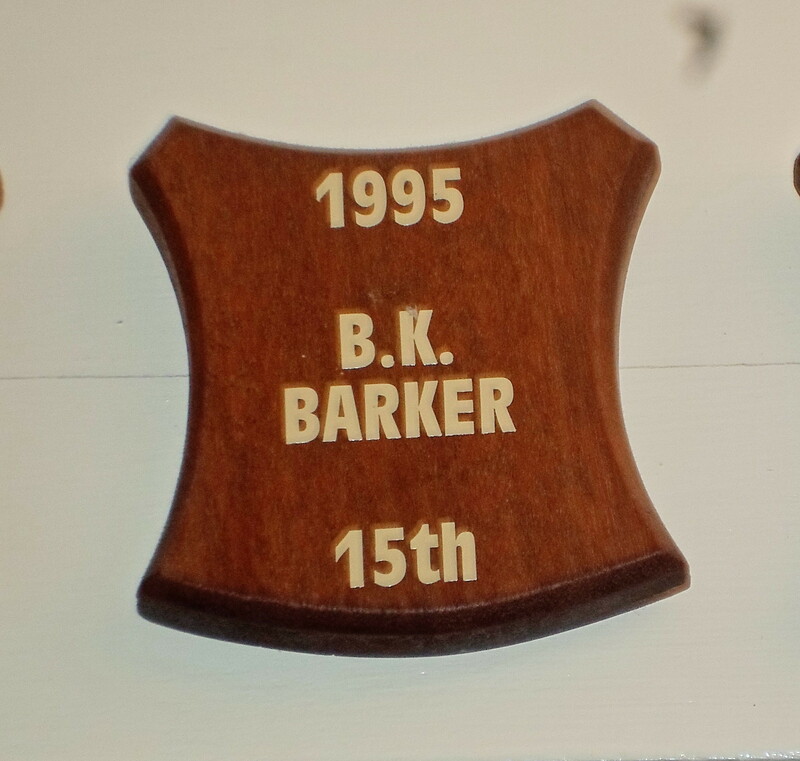 Also on that theme, I have given a best gross prize – in those far off days, there were no handicaps and shots start, just the player taking the least shots won! The weather was perfect (if you call 37 degrees of wall-to-wall sunshine perfect), intense heat, especially for those without buggies. We were out last, and were very grateful for the drinks stop at the 12th – ran out of water, and had to call on Denise for more. The contest culminated in a super presentation evening at the Spaniard Inn at Hacienda del Alamo. A few thanks at this time, especially to Alicia who organised the venue, coach, entertainment and all the necessary notices. Have a good trip around the south of France, and enjoy the cooler climate! Also to Barry Answer, Neil Simpson and Dave Lloyd who gladly offered to go out last with me so they could help with the starting etc. Barry and Dave have come over especially to play in the event. Kevin and Chris were responsible for checking the cards and ranking them in categories. And to Sue who was giving out cold drinks on a scorching hot day at the 12th tee…….. Thanks again to Sandy Simpson who has again provided his never- ending bucket of balls to replace those lost in the lakes………………. Les was 3rd in the 1st division……………. took this before play as Jeff couldn’t come – runner-up in 2nd division………. Tormud was nearest on hole 8 in two………. Ray was nearest on hole 17……………. an excellent prize table, but a pity that so many of the winners couldn’t attend……..
something different for the ladies winner……..
wind chime for ladies 2nd also……………..
A great night at the Spaniard in their private outdoor courtyard – just loved Dee who has everyone involved, and is so naturally funny (also a great singer). Barry Answer must have though that it was his birthday…..
all a bit too much for the old guy………Dee had to help him back to his seat……..
some of the girls having fun with Dee…………..
Next week is an aggregate pairs stableford – add both your stableford totals together and hope it is enough! This week was the July Apollo Air, not long since the last one! I have been in the UK (again!) for the weekend so this week’s blog may be brief and a little late. 58 players this week, and a fantastic score from Tormod – 8 shot cut on the slope! Geoff was division one winner………………. Phil is still playing well……..
Next week is the Barry Barker Strokeplay (major event). A leaderboard will be displayed in the bar area at the golf club so players know if they are likely to be in the prizes, which will be presented in the evening at the Spaniard Inn. The overall winner MUST be present to receive their prize. If you have to leave before all players have finished you can ring me on 0034 602620723 to check if you are the winner. Details are on the notice board and have been posted on the previous 2 week’s blogs. Cold drinks will be provided on the 12th tee, along with a replacement ball if you have just put one in the lake on 11! (courtesy of Sandy Simpson – ball recovery expert!). Bus leaves 7pm return midnight. Meals are not included – if you want one there will be a menu on your table and order when you are ready. I hope none of our golfers lost their tempers this week – sometimes you just can’t take any more and crack up!